I hope this e-mail finds you and your family well and enjoying the holiday season! MANY of you have watched or read about the 60 Minutes story entitled “Chicago: The False Confession Capital”, which aired on December 9th. I have received a significant amount of negative feedback regarding my participation in that segment and the position those clips portray me as taking on the issue. GIVEN the manner in which 60 Minutes chose to edit my interview, I am not surprised by the negative feedback. However, I want to address these gross misconceptions head-on and have submitted a letter to the president of CBS News to correct the record and to express my deep dissatisfaction with their segment. CBS provided an inexcusably limited narrative of the case and excluded my most pertinent comments regarding the important and troubling topic of wrongful convictions in an apparent effort to provide their story with an antagonist. Their misrepresentation of the facts and my hour-long interview with them did a disservice to their audience and their journalistic credibility. MAKE no mistake, I recognize that Cook County has a troubling history of false confessions and wrongful convictions and I will continue to implement solutions to ensure that they do not happen in the future. ONLY four months ago, the Chicago Sun Times praised my office’s handling of wrongful conviction cases as "a model for justice" for the rest of the country. My commitment to using my office’s resources to seek justice in such cases remains steadfast. I invite you to verify what I have outlined in the letter yourself and to share the accurate facts with others. A LETDOWN: I always believed Chicago was a city with a heart and a city that cared about its middle class. Today, I am disappointed with our great city—Chicago—as being heartless. 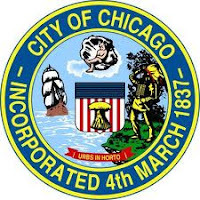 Heartless because our City laid-off 300 city employees at O’Hare Airport, before Christmas! This is a sad situation for these are hard working middle class people with families and children during this holiday season. CITY UNION WORKERS and their families don’t deserve to be treated so badly. Our great city has created an unnecessary hardship for them and without just cause, their livelihood and their Christmas spirit has been taken from them. SEIU WORKERS are urging Mayor Rahm Emanuel to reconsider his decision and rebid the contract. Chicago has always been a city who cares about its middle class. Let’s hope our Mayor keeps it that way. CHRISTMAS SHOW: St. Agnes of Bohemia Catholic Church, 2643 S. Central Park Ave., celebrated Mass for Little Village senior citizens at 9:00 a.m. on Friday, Dec. 14, 2012. During the Mass a reenactment of the apparition Our Lady of Guadalupe was performed beautifully by the young students of St. Agnes Elementary School. The seniors along with fellow parishioners clapped with enjoyment after the performance. AFTERWARD, 150 seniors were served brunch by the school children in the school lunchroom. A free raffle and gifts were given to the seniors. Following breakfast, parents, seniors and guests were invited to the school gym to see a performance of the story of the Nativity scene and to hear the school children sing. Along with “Silent Night” the little children sang “Mamacita Yo Quiero Santa Claus” and the performance ended with everyone in the room, students, parents, seniors and guests singing “Feliz Navidad, I want to wish you a Merry Christmas.” It was a great event. ALL OF the 423 school children from St. Agnes of Bohemia Elementary participated in the Christmas play and performance. Kathleen Duffy, Principal of St. Agnes of Bohemia Catholic School, has been the principal for the past two years. Ms Duffy was a Middle School math teacher for four years before becoming the principal at St. Agnes. THE CHRISTMAS event, the Guadalupe reenactment, senior brunch, and teaching the kids how to be servers, was coordinated by 8th grade teachers Eileen Flaherty and Sharon Holdvogt. Ms. Flores and the office staff cooked the breakfast, Martha Fiscal coordinated the Nativity story skit and all of the decorations and Jessica Conlin, the 5th grade teacher, coordinated the music show. ST. AGNES of Bohemia Elementary school is a Pre-K to 8th grade school. “It’s a Catholic school which we make affordable in order for all families to send their children here,” said Principal Duffy. Gabriella Fiscal, Development Director of St. Agnes, said, “The St. Agnes community values the sacrifice our parents make by sending their children to a Catholic school and we feel a tremendous pride in the elderly of our community. Our parents and elderly are why we are here, and this is a way to say ‘Thank you.’” Kudos to all the teachers, staff, parents and students for a spectacular holiday event. METEOR: Sophomore Juliana Tamayo [Little Village] was named Meteor of the Month at De La Salle’s Lourdes Hall Campus for Young Women, 3434 W. Michigan Ave., Chicago for the Month of November 2012. 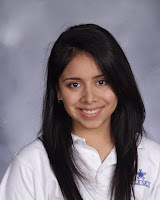 TAMAYO EXCELS in her classroom at De La Salle, by sustaining a 4.636 GPA (grade-point average) and ranking No. 5 in the 110-member Class of 2015 at the Lourdes Hall Campus. ADDITIONALLY, to Tamayo academic excellence, she is involved in the Mock Trail program, REACH Club, Science Club, Spanish Club and Book Club. METEORS are nominated by faculty and staff highlighting students who are motivated and enthusiastic about the school’s Lasallian mission inside and outside of the classroom. They are students who stand out amongst their peers by having demonstrated one or more of the Lasallian Principles of Faith, Community, Service, Social Justice and/or Association. DE LA SALLE Institute is an independent Catholic secondary school rooted in the tradition of Christian Education established by St. John Baptist de La Salle in 1889. Its mission has been to foster a desire for excellence in education. De La Salle Lourdes Hall Campus principal is Diane Brown, De La Salle President is Father Paul Novak, OSM. We congratulate Juliana on all of her accomplishments. 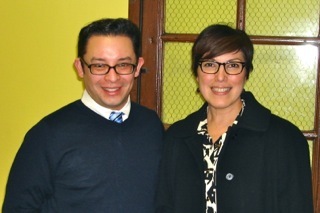 15th WARD: Raymond Lopez,15th Ward Democratic Committeeman, attended a Chicago Public School [CPS] community meeting on Friday, December 13, 2012, to discuss the newly-named Back of the Yards High School. The new high school will serve Daley, Lara, Chavez, Hedges, Hamline and Seward elementary schools. COMMITTEEMAN Lopez looks forward to working with Principal Patricia Brekke and CPS in increasing neighborhood awareness for the school. MY OPINION: It’s been reported that Immigration reform is expected to be taken up by Congress starting next year. It was also reported that the Republican Party and its members in Congress are adamant in their opposition that will give undocumented immigrants amnesty. It’s a foolish position for the Republicans to keep blocking amnesty for undocumented immigrants. WE ALL know that America desperately needs a new comprehensive immigration policy. Why do lawmakers want to bog themselves down for years and years with all kinds of ridiculous legislative maneuvers? POLITICALLY, what Republicans don’t realize is how their position will backfire because it will only energize Hispanics to organized, register to vote and to vote against them. 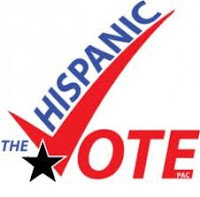 It is a fact that the Hispanic voting power is growing. Hispanic power is the only solution that will speed up immigration reform; and it’s the only thing the Republican Party apparently will understand. The Hispanic voters in America will make the Republicans pay for their opposition to amnesty. WITH AMNESTY, America can stop breaking up families and start building up its workforce in the marketplace where workers are needed. Lawmakers should instead use their time and energy concentrating on their fiscal responsibilities and solve our country’s gigantic debt problems. CHINATOWN held a Business Luncheon, Thursday, Dec. 6, 2012 at the MingHin Cuisine Restaurant, 2168 S. Archer Ave., Chicago with Christopher Kennedy, Chairman,University of Illinois Board of Trustees as their keynote speaker. Chairman Shu introduced Chris Kennedy to the audience for his presentation. CHAIRMAN KENNEDY began his speech by introducing Stephanie Neely, Treasurer of the City of Chicago as a long time friend who he met at Smith College in Western Massachusetts. 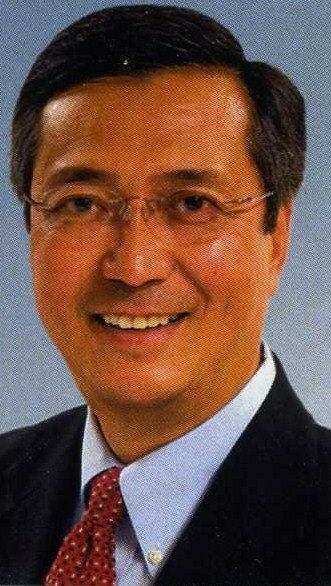 “I understand the importance of commerce and the mission of the Chinese-American community,” said Kennedy. He talked about the importance of the our ties with China that it’s important to all of our interests. “Last year, 3,600 students from China enrolled in our three campuses—University of Chicago, Champaign-Urbana and Springfield,” said Kennedy. WHILE Kennedy was talking, servers were placing food on the tables, but no one was eating while Kennedy was speaking out of respect. Chris told the audience: “I am the eleventh child of Robert and Ethel Kennedy and when I was speaking at the [family] table everyone else was eating. So, please feed yourself, but don’t take my lunch.” His sense of humor, relaxed everyone. KENNEDY said that the benefits of the University is not limited to the people of our nation, but is instead global in scope whether it’s in Chicago of Beijing. “IN ILLINOIS, Kennedy said, “only good things happen when a lot of different people work together.” Just recently the Chancellor of Urbana, Phyllis Wise, announced the preliminary plans this fall to construct a University office in China. “IF YOU love this country you must care about our research universities. History teaches us that what happens in Illinois will happen to the rest of the country. If we get stronger, the country will get stronger. If we get weaker, so goes the nation”, said Kennedy. HE SAID that the State [Illinois] is weaker now than it has ever been before; with rising taxes, including a 4% annual growth rate, declining taxable assets and the fourth highest state debt in the country of $270 billion. Job growth is not rising. Jobs are being consolidated. “Our job growth is not bouncing back,” said Kennedy. “CONSOLIDATION is the most important economic trend. The largest grocery store in the United States today is Wal-Mart. Half of the entire food industry today is control by six companies,” stated Kennedy. DURING his speech Kennedy used a visual chart board. After this speech, Kennedy accepted questions. He was very cordial and had his photo taken with anyone that wanted one. IN ATTENDANCE at the luncheon was Martha Gutierrez, Associate Director for Community Relations. “Marty”, as she is called, works in the Office of the Vice Chancellor for External Affairs at the University of Illinois at Chicago [UIC]. She formerly worked in Mayor Richard M. Daley’s administration in City Hall for many years; and she has a wealth of experience in government. BREAKFAST WITH SANTA: The 4th Annual Pancake Breakfast with Santa was held at the Cicero Stadium, 1909 S. Laramie, Cicero, IL. Hosting the event was the Chicagoland Toys for Tots Motorcycle Parade organization and sponsored by the Bennigan’s Restaurant, 150 S. Michigan Ave., Chicago. Attendance was 300 parents with children. THE CHILDREN had their picture taken with Santa Claus and given a large Christmas sock filled with candy and a toy. Santa put the little kids on his lap and asked them if they were good this year. He was a jolly Santa. Biker Brown Bear and Biker Snowman entertained the children at the breakfast. One of the coordinators of the breakfast, Robert “Cooch” Kuczera, read the coloring story book “The Adventures of Toys For Tots”, while the “Toys For Tots” officers play acted a role in the story book as the children sat in a circle. ALL THE guests and children were given a copy of the “Toys For Tots” coloring story book. It’s story was created by Jerry Kuczera; and special thanks were given to Liz Padilla, Robert Cooch and Sal Massey, local artist. The coloring book was dedicated in loving memory of AJ Massey. THE CHAMPION: Juan Manuel Marquez, 39, Mexican, aka “Dinamita” knockout Manny “Pac-Man” Pacquiao, 33, Filipino, in the sixth round of their fourth rematch Saturday, Dec. 8, 2012 at the MGM Grand Hotel in Las Vegas. With a hard overhand right hand punch to the face by Marquez, Pacquiao hit the canvass out cold and face down. PACQUIAO laid on the canvass for about two minutes before he was picked up dazed by his handlers. Pacquiao was immediately rushed to the hospital after being knocked out and underwent a CT scan, as a precautionary measure to check for a concussion. Marquez suffered a broken bloody nose, but this fight clinched the challenge who was the better fighter. MARQUEZ is considered by some boxing experts to be among the greatest Mexican boxers of all-time. TOYS FOR TOTS: More than 40,000 motorcyclists gathered at the Dan Ryan Forest Preserve at 87th St. & Western Ave., Chicago Sunday, Dec. 2, 2012 at 8:00 a.m. for the beginning of the 35th Annual Chicagoland “Toys For Tots” parade. The weather was perfect; sunny and balmy 64 degrees. “EVERY CHILD DESERVES a toy for Christmas” is the motto of the bikers. “This is the largest motorcycle parade, in the country, which collects toys for needy kids,” said Robert “Cooch” Kuczera former president of the “Toys For Tots” organization and this year’s MC. 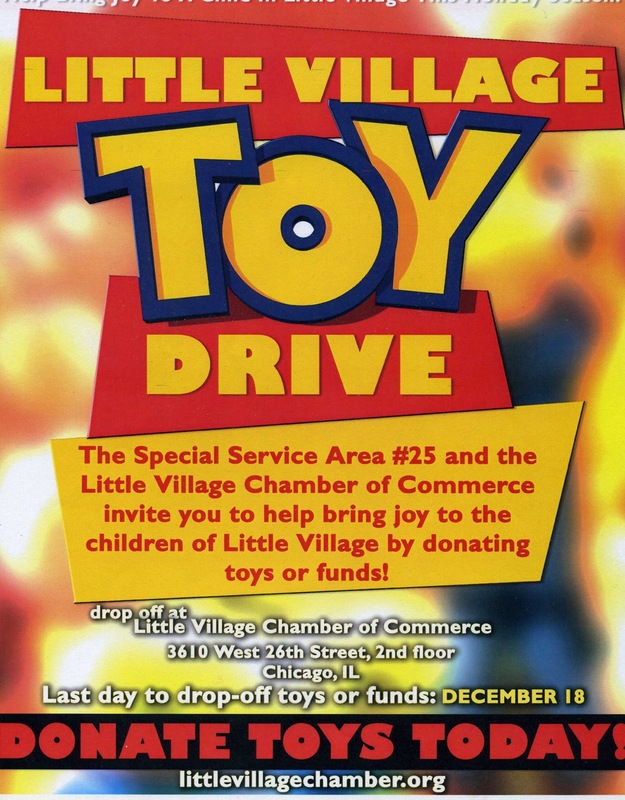 A Proclamation was received by the “Toys For Tots” organization from Mayor Rahm Emanuel. As the bikers waited for the parade to begin they were given instructions by "Cooch" who reminded them of safety being first and “no hot-dogging” in the procession. BEFORE THE PARADE kicked off at 9:15 a.m. the bikers said the Pledge of Allegiance, and held a moment of silence for the ten  bikers who lost their lives in 2012. "Cooch" introduced Santa Claus, who led the parade riding on a Harley-Davidson, and the Marine representatives. Mickey and Minnie Mouse, Goofy and Donald Duck joined the caravan. Following Santa was a gigantic empty red wagon with Santa’s helpers and a Christmas train and float. One of Santa’s helpers, Elena Lopez, a 5-year volunteer with the “Toys For Tots” organization, is also a licensed motorcycle rider rode in the big red wagon with friends. AS BIKERS EXITED the Dan Ryan Woods, Bishop James Wilkowski [a.k.a.“The biker Bishop”] of the Evangelical Catholic Church blessed them by sprinkling them with Holy Water as they passed him. Biker "Shade" has held the front position in the parade for the past 8 years. The caravan of bikers traveled north on Western Ave. and ended at the Lane Tech High School parking lot on Western Ave. & Addison Ave.; the drop-off point for the toys. THE TOYS are donated to the Marine Foundation 2nd Battalion for children in hospitals and needy families. BIKERS CAME from everywhere. Some bikers wore their “leathers”, [leather pants], helmets and colors identifying their Motorcycle Club [MC]. Each biker carried more than one toy to the parade strapped on their motorcycle. The bikes were large and small and of different colors, shapes, models and all beautifully decorated with a Christmas theme. MANY MOTORCYCLE CLUBS were represented in the parade. The MC’s with Latino bikers were Latin American Motorcycle Association [LAMA], Barrio Riders MC, American Veterans Motorcycle Riders Association of Illinois Chapter 7, Wildfire Hog Chapter MC, Alpha Doggs MC [a law enforcement group], and Teamsters Horsemen Association MC, and the Chi-Town Mustang, a non-bikers group who helped with blocking of traffic every year. CHICAGOLAND Toys For Tots Motorcycle Parade Organization Board of Directors are: President George Lester Fortier, Vice President Tom Dertz, Secretary/Southside Coordinator Peggy Estes a.k.a. “The Gate Lady” because she was in charge of the Southside Forest Preserve entrance, Treasurer Wendy Lanleys, Sgt. at Arms “Doc” Henderson, Parade Coordinator Joy Black, Product Coordinator Joe Ziman, Parliamentarian/Historian Maynard Marsh, Northside Coordinator Debbie “Chica” Giampa and her assistant Sam Johnson, Parking Coordinator “Wendal” who did an great job with parking of the bikes at Lane Tech and other surrounding parking lots. Again, the Chicago Police Department did a fantastic job giving service to the bikers. THE TOYS FOR TOTS organization had a tent in the parking lot at Lane Tech selling many different kinds of T-shirts and “Toys for Tots” souvenirs. MANY spectators watched the “Toys for Tots” parade lined-up along Western Ave. The warm weather made the parade a success and festive. It was a colorful and spectacular parade. I salute the Toys For Tots organization and bikers for their dedication and generosity. NEXT EVENT of the “Toys For Tots” organization is a fund-raiser at the Cicero Stadium, 1909 S. Laramie Ave., Town of Cicero this Saturday, Dec. 8, 2012 from 9 a.m. to 1 p.m. A pancake breakfast will be served and Santa Claus will be present to take a photograph with children, free. "Cooch" will read a Christmas story to the kids. Tickets are $6 per person and family of four is $20. There will be a raffle and a 50/50 drawing. For more information contact "Chica" at 630/550-3944. CICERO POLITICS: The election for officials in the Town of Cicero, IL is scheduled for Tuesday, Feb. 26, 2013. The deadline for filing was Monday, Nov. 26, 2012. It’s gearing up to be a real political “donnybrook”. Cicero is a suburb west of Chicago with a population estimated to be 84,261, according to the 2011 Census. Their elections are always full of surprises. THERE are five candidates who have announced their candidacy in Cicero election for Town President: incumbent Town President Larry Dominick, Juan Ochoa, Lizveth L. Mendez, Joseph Pontarelli and Ruperto De Loera. The election is non-partisan and the candidate receiving 50+1 votes is the winner. IN THE past 20 years, the racial make-up of Cicero’s population has change dramatically. The town is now 80% Mexican/Latino and the majority is now registered Democrats. This population change is causing the landscape of the politics in Cicero to shift. Cicero’s Democratic Organization Committeeman Charles Hernandez said, “Our organization has endorsed Larry Dominick because he is good for Cicero; and Dominick has the full support of all the local elected Latino leaders”. MOVIE REVIEW: “Skyfall” is an action movie with twists and turns. Skyfall is the twenty-third in the James Bond series of spy films. Actor Daniel Craig who plays James Bond takes a lot of risks as 007. The performance by Javier Barden as the villain in Skyfall was thought provoking. The plot was intriguing and has a surprise ending. I give it 1 star. MOVIE “Anna Karenina” with Keira Knightley as Anna, Jude Law as Alexei Karenin, her aristocrat husband, and Aaron Taylor-Johnson plays Count Vronsky, Anna’s lover, is a passionate love triangle story in Russia written by Leo Tolstoy. The performances of the actors, [especially by Knightley]; the storyline, costumes and scenery was outstanding and entertaining. I give it 3 stars. 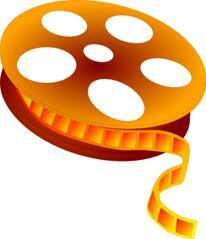 MOVIE “Lincoln” is a biopic drama. The portrayal of Abraham Lincoln by Daniel Day-Lewis was superb. This movie is a historical story of the life of Lincoln, the civil war and the passage of the 13th Amendment to the Constitution; abolishing slavery. The film was suspenseful with graphic scenes of the civil war. Performances by all the actors were great. The audience clapped at the end. Day-Lewis should receive an Oscar. I give it 3 stars. The mission of The Hispanic Times is to inform, educate, entertain, enlighten and to empower the Hispanic community in all areas of endeavor. The Hispanic Times believes it is important for Hispanic people to have a strong voice in our society for two reasons. First, we are the fastest growing population in America. 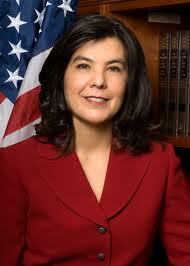 Secondly, Hispanic voices must be heard in order for justice and fairness to prevail among ALL residents of America. The Hispanic Times recognizes that newsworthy issues and opinions of the Hispanic people are not reported in main stream media, i.e., newspapers, T.V. and radio. Our goal is to report local news, germane and vital to our rich culture and history, accurately, fairly and without prejudice. Information in The Hispanic Times will reflect the needs, concerns, and ambitions of the Hispanics, as well as, venturing into grass root activities vital to Hispanics. The Hispanic Times wants to open dialogue with our communities for the betterment of its people and for a brighter future of the United States of America. -August Sallas, President of the Little Village Community Council, Chicago. Hispanic Times LTD. Website services by Astro, LLC. Simple theme. Powered by Blogger.